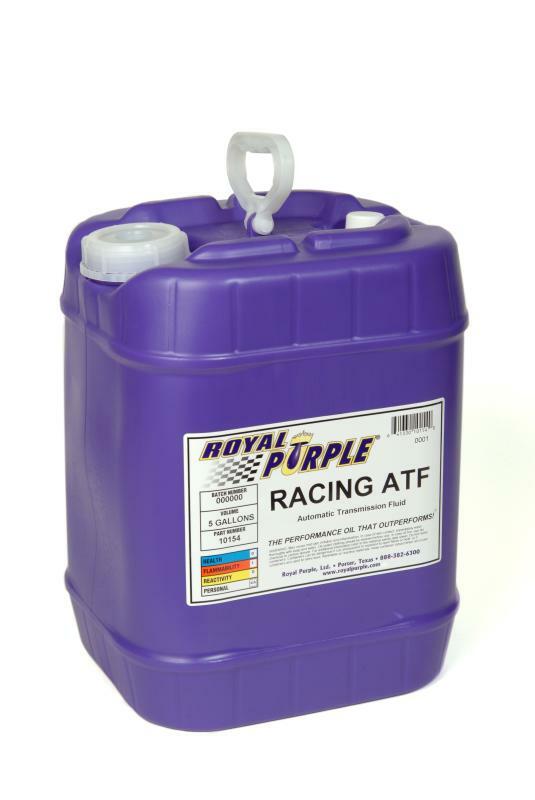 Royal Purple’s Racing ATF is a motorsports-grade lubricant recommended for all high performance, non-electronic shift transmissions that use a Type F automatic transmission fluid. As a performance transmission fluid, Racing ATF delivers firm, positive shifts for greater consistency and clutch life. Exceptional oxidation resistance allows for extended use and more time between fluid changes compared to conventional and other synthetic fluids. Please consult Royal Purple’s automotive technical support department when choosing a transmission fluid. Racing ATF is fortified with Royal Purple’s proprietary Synerlec® technology which is shown to make equipment run cooler, smoother and longer. Its high viscosity index provides exceptional performance at a wide temperature range, making it ideal for both circle track and drag racing applications. Field testing in GM, Ford and Chrysler drag racing transmissions has shown Royal Purple Racing ATF to be very consistent in pass-to-pass performance. Above and beyond other conventional and synthetic transmission fluids, Racing ATF has resulted in the doubling or tripling of transmission component and fluid life. Not only does Racing ATF boost performance, it provides unmatched protection to the high performance engines that need it most. 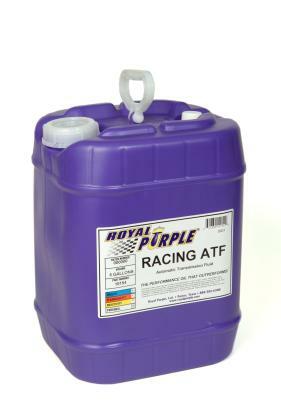 Royal Purple’s Racing ATF is designed for specific vehicles only. It’s important that you consult Royal Purple’s Technical Department to determine which ATF is right for you. Racing ATF is not recommended for any stock automatic transmissions or for street use where a friction modified fluid is recommended such as a GM Dexron® III or Ford Mercon®. For automatic transmissions calling for a GM Dexron® / Ford Mercon® fluid, we recommend Royal Purple’s Max ATF®.